At Lowe’s Construction, LLC, if you can dream it, we can build it – and that includes patios! Whether you need your current patio renovated after an elevation, or need a brand new custom built patio, we are New Orleans’s choice for patios. Our experts are well versed in building New Orleans patios and have many years of design and building experience, ensuring you get a beautiful patio design and a solid, sturdy construction. Our goal is to design and build a space that you and your family can enjoy for years to come. To enhance your patio, we also offer deck building services for those looking for different types of outdoor living space. Whatever you are looking for when it comes to New Orleans patios and outdoor living spaces, Lowe’s Construction, LLC is the remodeling contractor you can trust to get the job done with quality craftsmanship, on time and on budget. 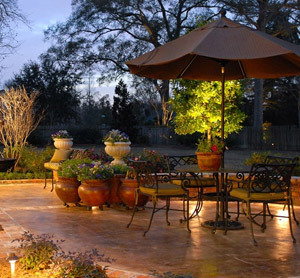 Lowe’s Construction, LLC is your full-service residential patio contractor in New Orleans, LA. We are dedicated to the evaluation, installation and maintenance of your patio. Our professional staff is qualified to evaluate your needs and will assist you in making the appropriate choice of materials and applications for your project.